Children’s Clinics will renovate their existing building and create a one-of-a-kind treatment space uniquely designed to meet the needs of children with complex medical conditions as well as serve as a center of excellence for children diagnosed with Autism Spectrum Disorder (ASD). The renovation will incorporate state-of-the-art technology and modifiable, sensory-friendly features including indirect lighting, texturized walls, sound buffering and other cutting edge adaptations. TRAK will expand programming to meet the large community demand for its Animal-Assisted Life Skills program (AALS). Funds will be used to hire and completely train two full-time staff in the EAGALA equine-assisted learning and growth model to maximize TRAK’s impact in the lives of at-risk and/or disabled children. In addition, Angel Charity for Children, Inc. will provide small grant funding for an additional eight agencies for an additional $159,021. Abbie School: $25,300 to support autistic students at the school by funding a new “Gifts to Work” program to introduce them to new experiences, highlight special interests and abilities, provide mentors and place them in internships. A portion of the funding will be used to purchase of a van to transport the students. Amphi Foundation: $20,000 to support low income students in the school district by funding the Clothing Bank, the Shoes to Smiles program, classroom grants and new teacher “Start Up” grants. Cascade Foundation of Southern Arizona: $15,000 to support children with bleeding disorders by transporting them to and from Camp HONOR, expanding the post-secondary school scholarship program, continuing the tutoring program and funding for research and treatment related to mental health issues among youths living with chronic health issues. Cooper Center for Environmental Learning: $10,000 to provide low-income students with a once-in-a-lifetime experience, immersing them in the Sonoran Desert to learn key ecological concepts and build emotional connections to nature, by covering the admission for students to participate in an overnight experience at Camp Cooper. Courtney’s Courage: $20,000 to provide newly diagnosed and relapsed pediatric cancer patients with personalized backpacks filled with patient specific items to help them get through the treatments and long hours at hospitals and other medical facilities. Diaper Bank of Southern Arizona: $10,000 to provide equipment upgrades to ensure the safe delivery of diapers for the 500,000-diaper drive campaign supporting low income families. Funding will provide a new forklift battery, installation of the battery, and purchase of a dock plate to allow the forklift to be driven into semi-truck trailers. GAP Ministries: $39,748 to improve the equipment in the GAP Kitchen which provides warm meals to food insecure children through the Feed Our Schools after-school program, in their SPLASH group homes and to others in the foster care system. A new, quicker packaging system will allow them to increase the number of sites that they serve. Lead Guitar: $18,973 to increase access to quality in-school classical guitar education for students in low income schools. Funding includes translating the Method Books into Spanish and developing an adaptive curriculum for special needs students. Chord Buddy guitar learning systems will be purchased for students with special needs. Project Description: Tucson Village Farm is an education-based urban farm that reconnects children to a healthy food system, teaches them how to grow and prepare fresh food, and empowers them to make healthy life choices. The Farm offers year-round, hands-on agriculture and nutrition-based programs for youth of all ages, as well as programs for the community and families. We serve urban youth from all socio-economic backgrounds; however, we focus on those who are low-income and at-risk. We teach children about the importance of maintaining a healthy lifestyle and help them develop leadership skills that empower them to create change within their own lives, families, and communities. In 2017, we delivered 44,851 hours of direct programming to 12,913 Pima County children. The Angel Charity Culinary Education Center for Children will enable us to safely teach 13,000 + kids/year how to prepare healthy meals from fresh food and provide the education and scaffolding they need to create brighter, healthier futures for themselves, their families, and the community. Having a teaching kitchen on site is the last slice of the Farm programming “pie” keeping us from truly carrying out our seed-to-table mission; in addition to providing a tremendous resource for children and families across Tucson, the kitchen will bring in revenue through the sale of value-added goods and rental of the space, ensuring that Tucson Village Farm remains a sustainable resource for the children of Pima County for many years to come. Purchase beds, dressers and underwear for foster, kinship and adoptive families that host children in their home. Deliver pet therapy in schools through the Animals, Books and Children (ABC) program to help 100 at-risk children increase their literacy. Purchase mobile canopy shade structures for an educational program that uses golf as a platform for skill building for youth. Provide year-round critical thinking and problem-solving based educational programs to low income youth vulnerable to science and math learning loss. Fund Saturday and after-school programming for blind children to learn academic and life skills, and to purchase 10 Braille displays. Fund a scholarship program to reduce registration fees for low income youth soccer players who learn valuable moral and life lessons through competitive soccer. Build and maintain a website to support families who have a child with cancer or a blood disorder. Project Description: The Diaper Bank provides an emergency supply of diapers to children and families living at or below the poverty line through 53 partner agencies in Southern Arizona. With only three full-time staff members equivalents and more than 2,000 volunteer hours, the Diaper Bank distributes 9 million diapers per year to infants and children in Pima County. The Diaper Bank is the nation’s first diaper bank, and for 23 years, has served as the model for more than 220 diaper banks across the country. Diapers are the single largest expense outside of food, clothing and shelter in a family’s budget, costing up to $100 a month. One in three American mothers struggle to provide an essential change of diapers to their children. Diapers are not covered by WIC, food stamps, or any other safety net program. In order to hold down a job or get an education, parents need access to child care, which requires a full day’s supply of diapers before a child can be dropped of. 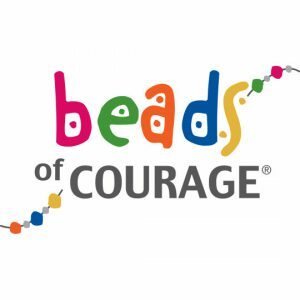 Project Description: Since 2003, Beads of Courage, Inc. has provided innovative Arts-In-Medicine programs for children coping with cancer and other life-threatening illnesses. A gift of $100,000 was awarded to Beads of Courage to establish the Angel Charity Arts-In-Medicine Program to strengthen resilience and improve the quality of life for children coping with cancer and other serious illness in Pima County. Through the use of visual arts, literary arts, and performing arts, Beads of Courage seeks to honor the courage of children, alleviate the experience of suffering, strengthen resilience, and affirm the experience of human caring. To date, Beads of Courage has partnered with more than 260 children’s hospitals to provide arts-in-medicine programs to 60,000 children globally. More than 8,000 children in Pima County will directly benefit from support provided by the Angel Charity Arts-In-Medicine Program during the challenging time of receiving treatment for a life-threatening illness. Programs will be provided during hospitalization, in the clinic setting, and in the community through workshops hosted at our headquarters. Ben’s Bells is a community-building organization that provides educational programming throughout the community to support the development of kindness skills (regulating emotions, self-control, responsible decision-making, showing empathy for others, etc.) Learning kindness skills is vital for a child’s individual achievement and for community health. Ben’s Bells was awarded $27,010 to purchase a new, safe, and economical van and to wrap it with colorful and inspiring graphics so that they may continue to serve children of Pima County for many years to come. Erik Hite Foundation was awarded $10,000 to provide scholarships for summer camps and supervised care for Pima County’s financially-needy first responder families. The scholarship is available to first responder families with two or more children ages 5-18, who would like to send them to a locally-operated Pima County summer camp. Junior Achievement of Arizona’s (JA) mission is to inspire and prepare young people to succeed in a global economy. JA has been educating K-12 students about entrepreneurship, work readiness, and financial literacy since 1957. JA was awarded $10,000 to pilot implementation of their JA Finance Park® Virtual Program in Tucson. Successfully offering this virtual program will enable students in low-income Tucson schools, who cannot afford the cost of traveling to the Phoenix JA Finance Park student facility, to learn these critical life lessons. Imago Dei Middle School has been breaking the cycle of poverty for ten years in Tucson by providing a tuition-free, private school education to children in grades 5 – 8 from low-income Tucson families. Only one of their alumni has dropped out of school in ten years and 85% of their alumni are pursuing higher education. The Educational Enrichment Foundation (EEF) was established in 1993 to support the 49,000 students and teachers within 93 Tucson Unified School District schools. 70% of TUSD students qualify for free or reduced lunches and over 80 of these schools are Title I schools due to high poverty populations. The $148,150 in funding will sustain two years of EEF’s high school level program extracurricular activity participation fees for 950 impoverished Title I students and allow expansion of the scholarship program to the middle school level for two years of participation fees for 475 middle school students who qualify for free or reduced lunches. The mission of Make Way for Books is to give all children the chance to read and succeed. Since 1998, MWFB has provided a comprehensive continuum of early literacy resources, services, and evidenced-based programs to young children, families, and educators in underserved areas of Tucson. The mission of Aviva is to enhance services that improve the quality of life for children who are in the care of Child Protective Services and who are victims of abuse, neglect and poverty. Funding from Angel Charity will help build an 11,000 sq. ft. Outdoor Visit Center to provide these children and their parents with the opportunity to play and visit in a safe, supervised park setting. The new Outdoor Visit Center is designed to maximize opportunities for positive family interaction through therapeutic play visits. El Grupo empowers youth through bicycles, so they can acquire the self-confidence, discipline and leadership skills to be active and healthy members of the community. Angel Charity funding will provide El Grupo Youth Cycling with funds for two years of additional staffing support. The additional staffing will enable El Grupo to extend their quality programming to more youths who are underserved or uninspired. The objective of Girl Scouting is to provide girls with a safe and supportive environment. The grant from Angel Charity will go towards construction of the “Angel’s Place For Girls” which will be part of the organization’s planned Girl Scout Leadership Campus. The new building will provide thousands of girls throughout Pima County with a central, convenient place to meet and participate in activities that help build practical life skills and give them confidence. The Steele Children’s Research Center will receive funding to increase clinical trials available through Children’s Oncology Group so that our children will have access to all the protocols available nationally; and to expand the basic cancer research to increase the development of new future treatments. The Children’s Achievement Center will receive funding to provide two years of support for their tuition program, which provides sliding fee scale childcare tuition assistance for children of low-income, working families. The center provides full-day, full-year childcare for at-risk children ages eight weeks to five years. The majority of these children live below the poverty level and one-third have a significant disability or development delay. The Tucson Village Farm will receive funding to provide two year and one half years of management support for the their volunteer program, the farm is a working urban farm built by and for the youth of our community. Their goal is to reconnect young people to a healthy food system through the delivery of seed-to-table curriculum. Our Family Services will receive funds to build a 20-bed emergency shelter for Tucson’s homeless children ages 12-17 years. The Reunion House that Angel Built will provide a safe welcoming home until permanent placement is arranged. It is the only agency in Tucson contracted by the State that provides crisis shelter for this age group. The Tucson Nursery School will receive funding to retire their mortgage there-by providing funding that will be designated for childcare scholarships dedicated to at-risk and marginalized children. The Roy Drachman Clubhouse will receive funding to support a full renovation of the clubhouse, including plumbing, heating/cooling and electrical repair. The renovations will positively impact up to 15,000 kids per year. The Children’s Museum Tucson will receive $236,500 to create Investigation Station – a new hands-on, interactive exhibit focused on Science, Technology, Engineering, and Mathematics (STEM). This exhibit will be a natural extension of what the children will experience in school, and will serve as a positive reinforcement of STEM learning in a fun environment. TROT, as it is known, will receive funds to expand its TROT Tots Therapy Clinic to provide early intervention therapies for special needs 2-6 year olds with physical and cognitive impairments. San Miguel High School prepares students from underserved families for college and career by integrating a rigorous academic schedule with practical work experience. San Miguel recognizes that education is a key element in breaking the cycle of poverty and ending economic disparities that exist, particularly for minority populations. The $575,000 funding reuest will reduce the debt incurred from the building the Student Center which houses the Corportate Internship Program. The Angel Youth Center is a 5,300 square foot extension to the Northwest Y. This space is dedicated for youth ages 9-17 to allow for particpation in supervised social, recreational, educational, and character building activities after school, on weekends, and throughout the summer. The $400,544 will provide the money necessary to complete the new construction. The Pima Library Foundation offers free tutoring and homework help to students after school. Homework Help targets children with the highest dropout rates but, is open to all students. Access to the program is easy. The $34,000 will allow for additional tutors and program expansion. Trained 16 new teams for assistance. and also offers other much needed services. To furnish and equip the medical services suite in the new center. To open five new school sites that effectively doubles the program’s outreach from 540 to nearly 1,000 children. building to create a Receiving, Assessment and Visitation Center. To grant approximately 45 wishes for Pima County children. *Board Restricted Fund Income Gift. To build “Un Nidito De Angeles” and expand the current building. To help grow the “Focus on Vision Program” providing needed prescription eyeglasses to at-risk children. To build 12 isolation rooms in the new 28 room, 30,000 sq. ft. Ronald McDonald House on UMC property. Sustain the “High School Build Program” for at least one year at four local public high schools. To construct and equip a Community Computer Technology & Recreation Center. The Center will serve the South Park neighborhood children of Tucson as well as children in its surrounding areas. Provide Living Expense Stipends for 67 Tucson students and addv 35 hours of staff (student advocate) time per week to expand outreach/advocacy as well as school personnel training. YOTO offers an effective solution to homeless Tucson youth. For the expansion and renovation of facilities, retirement of the mortgage and purchase of much needed equipment. Arts for All uses visual and performing arts to teach children a variety of lessons, a few of which include confidence, an eagerness to learn and grow and self-awareness. Provided funds for music education programs for elementary students. To retire the debt for the Blacklidge residential group home for adolescents and babies. This will allow for more resources for education, aftercare assistance with rent and living expenses and follow-up care. To renovate an existing building to provide a kindergarten classroom, a testing and conference room, a children’s playground with a play structure, fencing and lighting and program support rooms. Provided funds for incremental, unmet needs for foster children in Pima County. To fund renovation of a 3,300 sq. ft. laboratory space that will house a Comprehensive Program for Children with Diabetes, including a patient care area, basic science research and training for associated health care professionals. To hire and certify a full-time riding instructor for a period of two years which will enable TROT to serve an additional 25-30 riders per week. Riders experience fun-filled therapeutic exercise and empowering freedom of movement in a rich sensory environment using horses. Funding to purchase a new van. For the expansion and renovation of a 152 year old school which serves primarily Native American children. Each grade is to have its own classroom, thus improving the learning experience and academics for the children. To build five cabins and a community bathroom shower. This provided 4,000 more children a camping experience. Construction of an 1,800 sq. ft. debriefing and experimental area where families and visiting classrooms can gather, review and discuss their museum aviation and space experience. A simulator for the space gallery was also purchased. To build a playground next to the clubhouse, a supervised and safe area free of drugs, gangs and violence. The Steve Daru Clubhouse provides a safe neighborhood recreational place as an alternative to drugs, gangs and other destructive lifestyles. Funding for the purchase, renovation and furnishing of a six-bedroom group home “Angel House” on 5.6 acres of land. The new facility will provide therapeutic residential service to seriouslyemotionally disturbed children through its Intermountain Youth Center program. Funding one full year of Tu Nidito’s bereavement program, “Angels By Your Side Bereavement Program”. The bereavement program helps children and their families living with life threatening illnesses. Funds for the purchase of a new International 20 foot stake bed truck, “The Angel Harvest Wagon”. It will allow the food bank to increase their ability to distribute foods by at least 50% to children in low-income families. For site acquisition and development of a 4,700 sq. ft. building and equipment. The “St. Elizabeth’s Angel Urgent Care Center provides urgent care in a family-friendly atmosphere with specialized pediatric equipment. For the purchase of three used aircrafts. Wright Flight is a mentoring program that rewards a student’s efforts with a “hands-on” flight experience. To purchase musical equipment, recording studio time, sponsor music workshops and musical social activities. For acquisition and renovation of building at 1901 North Stone Avenue to provide quality education, training and employment services to youth of this community. For site acquisition, development and a 6,050 sq. ft. building and recreation area. This provides comprehensive therapeutic services to children. For renovation of existing outdoor environment. Provided renovation and expansion of an existing 6,000 sq. ft. building to 10,500 sq. ft., allowing for the augmentation of preschool, daycare, after school activities, and many other programs. Provided funding for site acquisition and development of a 6,200 sq. ft. building with a recreation area to offer enrichment and support services to youth and families through positive opportunities for educational, social and cultural development. Seed money to research Niemann-Pick disease at a facility in Pima County. Provided funding to expand and renovate their existing center from 5,500 sq. ft. to 10,000 sq. ft. The “Angel Youth Center” enables TUL to work with over 1,000 families and children per month in a facility designed to meet the needs of youth programs and services. Purchased and renovated a three-story, 15,000 sq. ft. building, named the “Angel Charity Youth Center, serving additional 200 children to be served monthly. Provided stipends for ten months to 100 students. YOTO provides desperately needed assistance to youngsters who seek permanent shelter outside their parents’ home while staying in school and maintaining good grades. Built a pediatric clinic to provide medical and dental services for more than 16,000 needy and homeless children each year. A primary health care clinic provides laboratory, X-Ray, minor surgery, pharmacy and dental services. Funded the renovation of the fourth floor of a 32,000 sq. ft. facility which provides needed space for scientists researching the causes of serious childhood illness and disease. Built and furnished a 40-bed nursery for children from birth to age 5. The Casa is a residential crisis center for children from birth to age 11. Retired the mortgage and remodeled four existing Open-Inn homes and implemented an Independent Living Program. Open-Inn serves the needs of adolescents who are unable to live at home. Formally known as Gump School Parent Teacher Committee. Provided a sensory course and three buses to transport severely mentally handicapped children for Gump School. Air conditioning for their building. Formerly known as Tucson Association for Child Care, Inc. Purchased a facility for this agency serving the needs of children in foster care and daycare. This agency serves more than 5,000 children each day. Formerly known as Cerebral Palsy Foundation of Southern Arizona. Remodeled, renovated and expanded the preschool facility for infants through school-age children with severe physical and neurological handicaps. Purchased a facility for this agency which serves the needs of sexually abused children. Funded a program which educates children about sexual abuse. Remodeled and renovated two condemned buildings on the campus of this institution, which provides a wide spectrum of service to families and abused and neglected children, including a residential program. Retired the mortgage and expanded and enhanced the facility. This is a home for critically ill children and their families who are undergoing treatment at local hospitals. *Board Restricted Fund Income Gift – Established as a vehicle to accumulate excess funds. The income earned from this fund provides a source of funding to children’s agencies in desperate need and are determined by the Angel Charity Board of Directors.